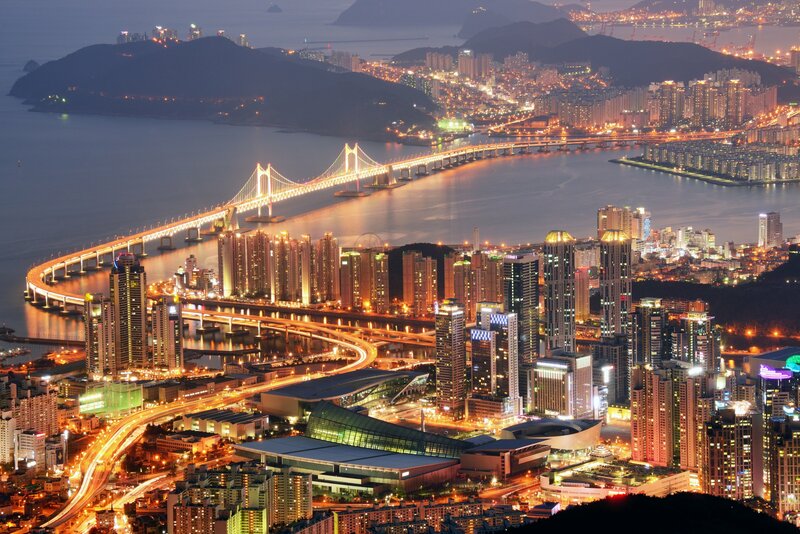 Flying to Australia from the United States isn’t easy and often requires connections in Japan, South Korea, or a country in Southeast Asia. While Australia is a dream destination for many, a more convenient flight on Qantas in business class might be just the thing to make this trip even better. On Qantas, you can fly to Brisbane, Melbourne, or Syndey from several cities the U.S., which will really shorten your travel time. Business class award seats on Qantas are tough to find, but worth the effort. Here we’ll show you what to expect in business class and the best ways to book it. 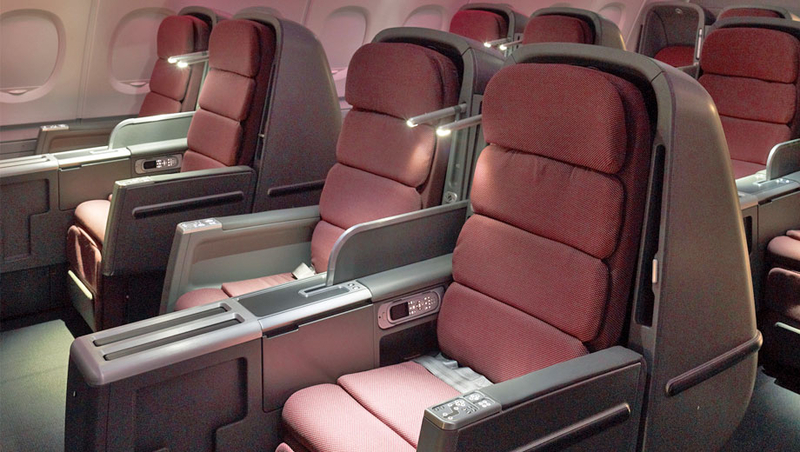 All business class seats on Qantas’ new Boeing 787-9 Dreamliner will have direct aisle access. Image courtesy of ausbt.com.au. Unlike Qantas first class, there is more variation in Qantas’ business class product. In fact, what to expect can vary even on the same flight. On their Boeing 747 aircraft, most seats are arranged in a 2-2-2 layout, which means only the middle section seats both have aisle access. The upper deck is arranged entirely in a 2-2 layout. However, the main business class cabin is arranged in a subpar 2-3-2 layout. As a result, even people in the middle section will have someone climbing over them. If you get lucky, there are 2 solo window seats that have the benefit of direct aisle access and no one sitting next to you, which can be ideal for solo travelers. The upper deck of the Airbus A380 is entirely business class in a 2-2-2 layout. Image courtesy of ausbt.com.au. On the Airbus A380, business class is located in the upper deck and is arranged in a 2-2-2 layout with direct aisle access for both middle seat passengers. Finally, we have the Airbus A330 and the Boeing 787 Dreamliner. These aircraft have very similar 1-2-1 cabin layouts. This is the most modern business class product used by Qantas, and it’s superior to the others since all seats have direct aisle access. Regardless of the cabin layout, every business class seat is fully lie-flat, making sleeping much easier. This is vital when you’ll be spending 15-17 hours traveling between the continental U.S. and Australia! While the Airbus A330 does not fly to the continental U.S., you can try its business class product between Sydney and Honolulu on a roughly 10-hour flight. If you want to try the Boeing 787 Dreamliner, it is expected that Qantas will soon begin operating this craft between Brisbane and the continental U.S.
As a business class passenger, you will have access to Qantas’ business class lounges and those operated by their Oneworld partner airlines. Inflight, you can expect a very good meal and a wide variety of options. Additionally, Qantas stands out for providing pajamas to its business class passengers, which make those super long flights even more comfortable. There are several ways to book business class on Qantas from Alaska Airlines Mileage Plan to any of their Oneworld partners. Let’s check out some of the best ways to redeem miles for your next business class flight. If you’re looking for the cheapest mileage cost, look no further than Alaska Airlines. For 55,000 Alaska miles, you can book a one-way business class award to from the continental U.S. to Australia. If you want to see more than one city in Australia, remember that you can book a stopover with Alaska miles. There are tons of possible ways to redeem Alaska miles, so check out our best ways to redeem Alaska miles. You can find some great redemption sweet spots in Japan Airlines’ distance-based partner award chart. Japan Airlines uses a distance-based award chart. The chart is divided into tiers based on your flight miles. This means you’ll need to account for the flight miles of each segment of an award booking. You’ll have to call Japan Airlines to book an award with one of their partners, but just follow these steps and it will be easy. You can include stopovers when booking award flights with Japan Airlines miles but, remember, each mileage tier requires more miles to book. Check out our best ways to earn Japan Airlines miles to see all the ways you can earn. If you need some inspiration for other ways to use your miles, check out the best ways to redeem Japan Airlines miles. Cathay Pacific Asia Miles provides an easy way to book Qantas awards online. You can also include a stopover and an open-jaw but doing so will make the booking cost more miles. As an example, New York JFK to Sydney first-class round-trip is 180,000 miles. Here’s how you can use Asia Miles to book Qantas business class. Cathay Pacific is a transfer partner of American Express Membership Rewards points and Citi ThankYou Points. The transfer rate from each of these programs is 1:1, but the time it takes to transfer varies by program. Transfers from Citi ThankYou Points generally take up to 24 hours and transfers from Membership Rewards can take between 3 and 7 days. A great use of American miles is flying business class on Qantas. Prior to a devaluation in early 2016, American Airlines AAdvantage was a very popular program for booking Oneworld awards. Even with the devaluation, it’s still a great way to book Qantas business class thanks to its ability to include connections within the U.S. so you can reach an airport from which Qantas flies. If Qantas isn’t your thing, check out some other great options for redeeming your American AAdvantage miles. Hot Tip: The ability to put award seats on hold makes using American miles one of the easiest ways to book Qantas business class. You might be surprised that Qantas isn’t listed as an option. Sadly, Qantas does not offer even decent redemption rates through their award chart. There are plenty of other options that can be used to book Qantas flights including British Airways, Malaysia Airlines, and Qatar Airways. 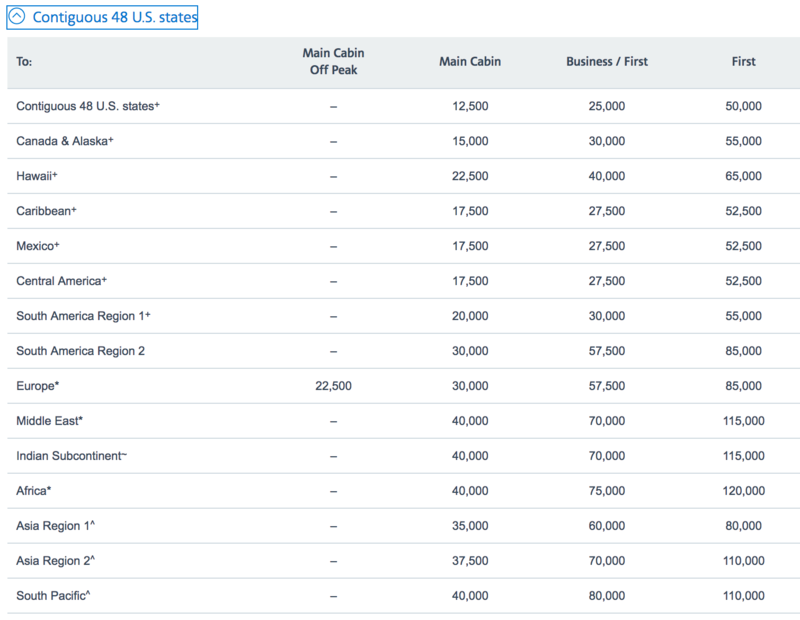 If you can find a business class award seat on Qantas, you have several options to book it. Image courtesy of Qantas. Qantas serves a limited number of airports in the United States. In fact, they only fly to and from Dallas Fort-Worth (DFW), Los Angeles (LAX), New York City (JFK), and San Francisco (SFO). They also fly between Sydney and Honolulu (HNL). Let’s take a look at how you can book these flights, so you can decide which miles to use when booking Qantas business class. Below you’ll see the round-trip business class redemption rates to or from Brisbane, Melbourne, and Sydney. 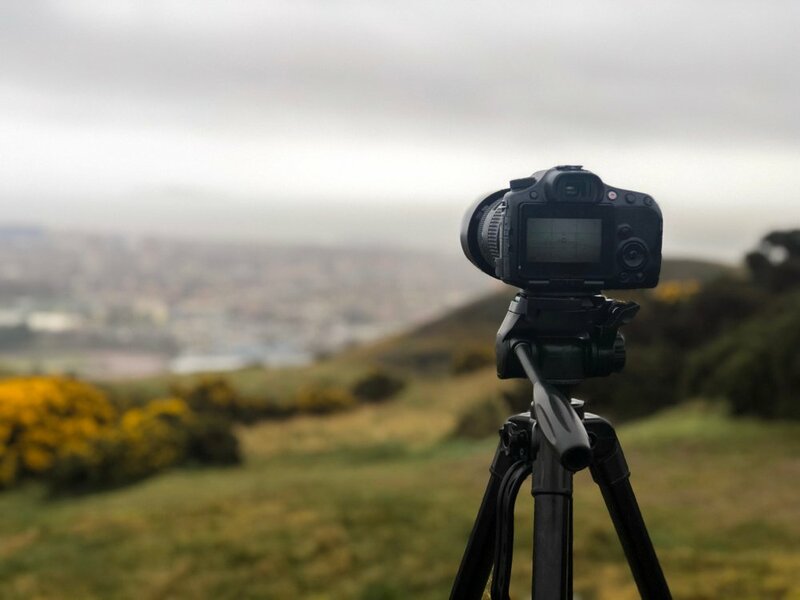 Even if you don’t have the miles to book a business class flight on Qantas right now, there are plenty of ways to earn the necessary miles. You can earn Marriott points and transfer those to Qantas, Japan Airlines, American Airlines, Alaska Airlines, and Cathay Pacific at a transfer rate of 3:1. Plus, for every 60,000 Marriott points that you transfer, you’ll receive an extra 5,000 miles bonus. Cathay Pacific Asia Miles can be transferred American Express Membership Rewards and Citi Thank You Rewards (both at a rate of 1:1) or from Marriott at a transfer rate of 3:1.
Business class award availability on Qantas is very difficult to find, but not quite as difficult as first class award space. You can start looking for award space 330+ day prior to departure. Still, it will be tough to find any availability. In 2016 and 2017, Qantas seemed to release a chunk of business class award seats at once for departure dates 9 months away. Even so, the availability was still very limited. As is the case with first class, it will be easier to book one award seat (maybe 2, if you’re lucky) if you want to fly Qantas business class. Flying business class on Qantas from the continental U.S. or Hawaii to Australia is a great way to make this long journey. As Qantas adds routes from Brisbane on the Boeing 787 Dreamliner, business class on Qantas is only going to get better. 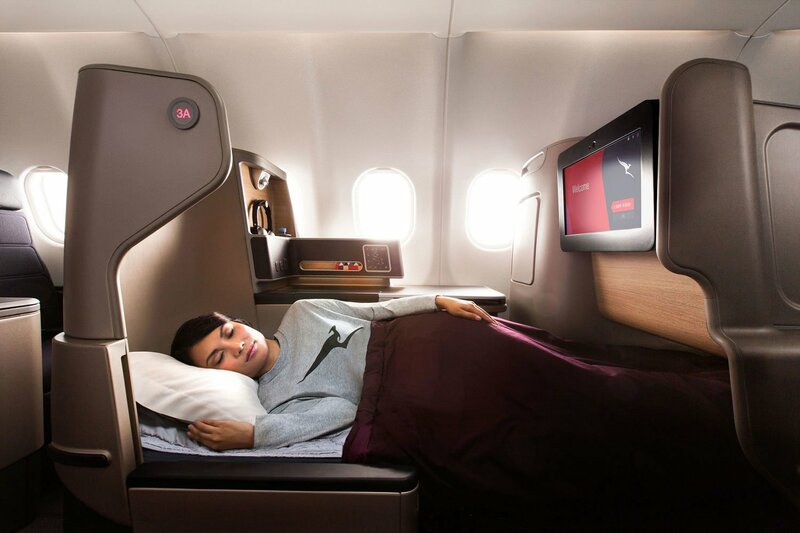 While you won’t get direct aisle access with most business class seats on Qantas, they do provide a very comfortable lie-flat bed for your long-haul flights. If you find yourself on a Boeing 787 Dreamliner to or from Brisbane when they launch routes to the U.S. (or on an Airbus A330 between Honolulu and Sydney), business class will be even better. 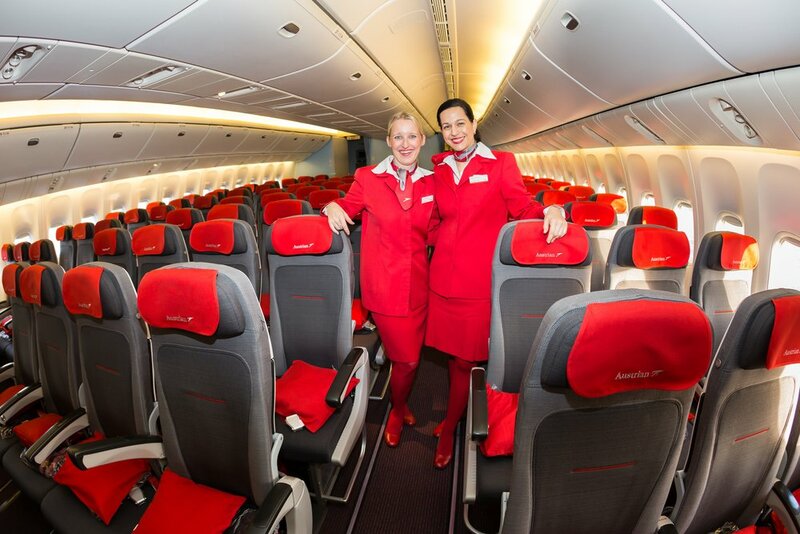 These routes have Qantas’ latest business class product that provides direct-aisle access to all passengers. If you’re on the Boeing 747, you’ll find the business class seats on the upper deck provide a much more peaceful ride as they are further from the engines with fewer passengers. Relax in Melbourne at Qantas’ international business class lounge. Image courtesy of Qantas. You can relax in one of Qantas’ international business class lounges and enjoy any of the several wines available. If beer or spirits are more your style, you will also have several options to choose from. Additionally, you can expect a really nice meal, especially if you are in the Melbourne lounge which has both a dining service and an extensive buffet. 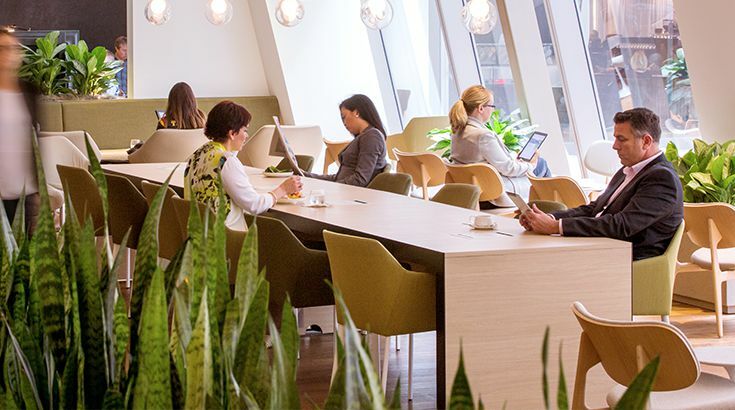 If you’re at an airport without a Qantas business class lounge, you’ll have access to one of their partner lounges, which are often provided by their Oneworld partners. If you happen to be in Dubai, you’ll also have access to the Emirates business class lounge. Let’s be clear, finding business class award availability on Qantas will be tough. If you do find it, you’ll need to book quickly before someone else grabs the award space. When you consider both the inflight experience and the business class lounge experience, this comes as little surprise to anyone. If you have Alaska miles in your account, they’ll get you into business class with the fewest number of miles. However, if you are going to transfer points to one of Qantas’ partner airlines, that can take time. As a result, you might be better off booking with American Airlines since they allow 5-day holds on award tickets. In the end, however you book this amazing flight, you won’t be disappointed you did! What is the best way to book Qantas business class? If you are booking business class on Qantas, check Japan Airlines Mileage Bank, Alaska Airlines Mileage Plan, Cathay Pacific Asia Miles, or American Airlines AAdvantage. Alaska Airlines and Japan Airlines will have the best redemption rates, but booking with American Airlines can be much easier. What credit cards can help me fly Qantas business class? What do I get when flying Qantas business class? While Qantas’ business class product isn’t consistent across their fleet, you can expect a comfortable lie-flat seat and a relaxing business class lounge experience.